Island castaway David Glasheen lives on remote Restoration Island off the coast of north Queensland near Lockhart River. 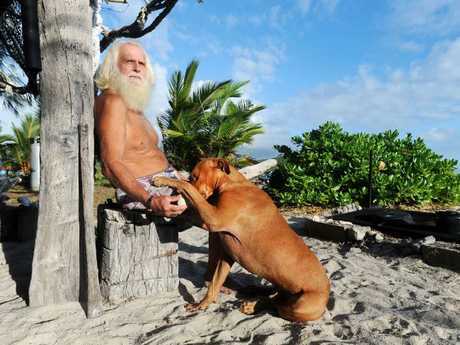 AUSTRALIAN millionaire turned island castaway David Glasheen is said to be devastated after the death of his closest island friend. 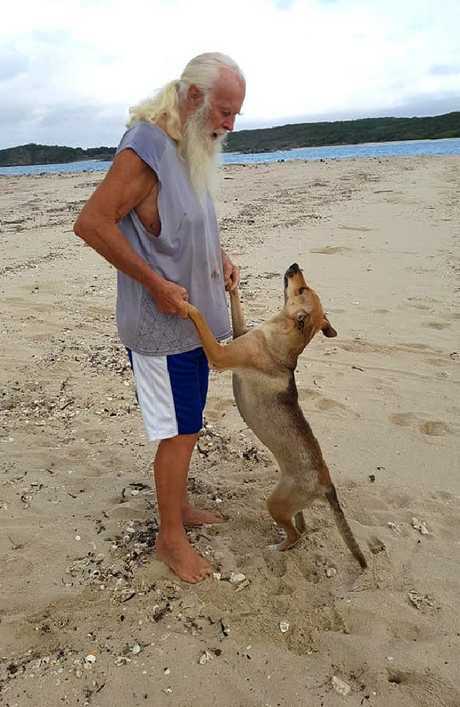 News.com.au has been made aware that Mr Glasheen, who moved to Restoration Island on Australia's remote peninsula in 1993, has lost his only mate on the island, a dingo named Polly. 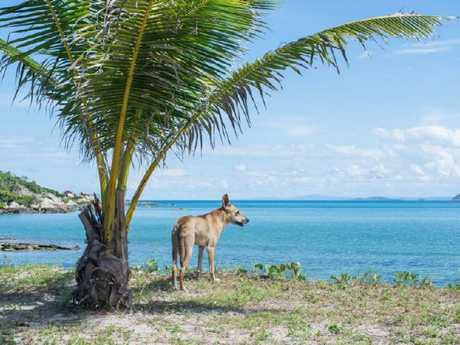 Polly, just three-years-old, wasn't a domestic dog but a wild dingo and according to Alvaro Cerezo, who documented Mr Glasheen's life as a castaway in 2017, she was "very clever". "Dave fell in love with her immediately," Mr Cerezo said. "Dave is very sad right now because his two best friends passed away in a short period of time." David Glasheen pictured with his dingo mate, Polly. Mr Glasheen believes the death of his dingo mate was the cause of a snake bite. Mr Glasheen's first famous dog, Quassi, was killed two years ago by a coastal taipan. "It was a big loss for David. Quassi was his best and only friend on the island for so many years. Therefore Dave wanted a new dog and found Polly," Mr Cerezo said. Mr Glasheen, 75, discovered Polly's body 10 days ago, after having lunch in his hut. Polly was somewhere along the beach when Mr Glasheen called after her to devour his lunch leftovers. "But Polly didn't come," Mr Cerezo said. "He went to search for her and he found her with foam in her mouth and a little bite in her leg. Mr Glasheen cannot confirm the cause of death but believes it was a death adder by the size of the bite. A death adder is an Australian native and one of the most venomous land snakes in Australia. 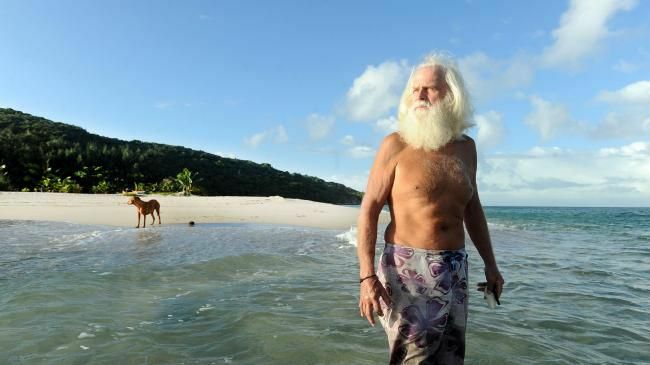 Last year Mr Glasheen marked his 20-year anniversary on the island - and for years, the world has become enraptured by the story of the Australian millionaire turned castaway, who walked away from his life and became Australia's real life Robinson Crusoe in 1997. He has endured the toughest landscapes in the largest unspoilt wilderness in Northern Australia and one of the last remaining wilderness areas on Earth. "If things go wrong, your life is at risk and you're really aware of it," Mr Glasheen told news.com.au in 2017. "The wild is pretty severe. It's a tough world. Things are forever going wrong, and you've just got to deal with it. "You've got to work with the elements. People assume you turn the tap on and the water comes out. You start to realise it's not like that. You're in charge of all that here." Except for the annual grocery shop to Cairns, Mr Glasheen spends most of his time on the island, where he has lived in a renovated WWII outpost. 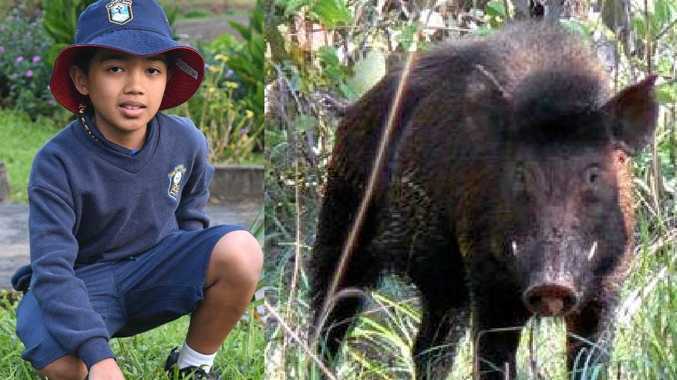 Mr Glasheen's former dog, Quassi, survived two attacks before succumbing to a taipan snake's bite. The inland taipan is the most venomous snake in the world. A stockmarket millionaire in the '80s, Mr Glasheen was living the high life in Sydney as the chairman of a Sydney-based company which specialised in gold mining in Papua New Guinea. 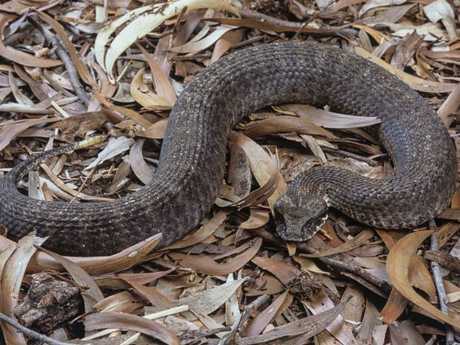 A common death adder snake. At this stage he was worth a cool $US28.4 million, which he invested in luxury real estate along Sydney Harbour. But after the "Black Tuesday" crash (known to the rest of the world as the Black Monday crash) on October 19, 1987, the Dow Jones dropped a record 508 points, and subsequently, Glasheen's stock began to rapidly drop too. Mr Glasheen lost $7.25 million that day alone, and the next few years would see his life spiral into bankruptcy and a broken family that couldn't be pieced back together. He divorced his wife in 1991. By 1993, after the banks had moved in, Mr Glasheen heard of a lease available on an undeveloped 64-acre island within a national park in Cape York, on Australia's remote peninsula: Restoration Island.